In a dramatic, moving work of historical reporting and personal discovery, Mark Whitaker sets out to trace the story of what happened to his parents, a fascinating but star-crossed interracial couple, and arrives at a new understanding of the family dramas that shaped their lives—and his own. His father, "Syl" Whitaker, was the charismatic grandson of slaves who grew up the child of black undertakers from Pittsburgh and went on to become a groundbreaking scholar of Africa. His mother, Jeanne Theis, was a shy World War II refugee from France whose father, a Huguenot pastor, helped hide thousands of Jews from the Nazis and Vichy police. They met in the mid-1950s, when he was a college student and she was his professor, and they carried on a secret romance for more than a year before marrying and having two boys. Eventually they split in a bitter divorce that was followed by decades of unhappiness as his mother coped with self-recrimination and depression while trying to raise her sons by herself, and his father spiraled into an alcoholic descent that destroyed his once meteoric career. Based on extensive interviews and documentary research as well as his own personal recollections and insights, My Long Trip Home is a reporter’s search for the factual and emotional truth about a complicated and compelling family, and, ultimately, a son’s haunting meditation on the nature of love, loss, identity, and forgiveness. "A deeply moving history of family relations and racial identity." "This is one of the most beautifully written and skillfully reported memoirs I have ever read. Searching to unlock the puzzle of his parents’ lives, Whitaker writes with empathy and insight, shifting seamlessly between a child’s recollection and an adult perspective. This story will capture your heart from start to finish." "I picked up Mark Whitaker's My Long Trip Home and I couldn't put it down. He brings his gifts as a journalist and ultimately, his deep compassion as a human, to shed light on his own unique and very moving family story. Spending time with these characters, himself included, reminded me of some of my favorite nights in the theater." "Mark Whitaker has given us a deeply personal, instructive and unsparing story of life in a contemporary bi-racial American family. It's all here—the love, pride, anger, confusion and achievement from a man who rose to the top ranks of American journalism." 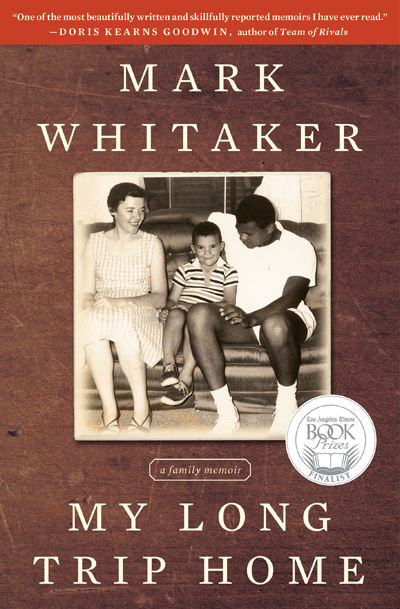 "[a] poignant memoir…Whitaker is unsparing in his account of his father's sins and the scars they inflicted…but the author filters his profile through a rich reflection and understanding. Like Barack Obama's Dreams from My Father, Whitaker's memoir is in many ways an iconic story of the post–civil rights era, one in which transcending racial barriers liberates people to succeed—and fail—in their own peculiar ways." 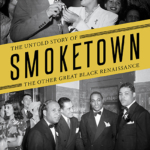 "…a thoughtful account of growing up bi-racial at a point in this country’s history when racial identities are in flux and when people of mixed race are ever more common…. . For the most part Whitaker’s tone is objective, almost reportorial, which permits the reader to see his story clearly rather than through the mists of hyperventilated emotion. It’s a good book." "A heavily detailed and highly readable account of the author's lineage…the writing comes across as honest and wholly engaging. A fascinating personal treatise on racial identity and complicated father-son dynamics." "Told straightforwardly, Whitaker's stories of life and work in proximity to power will appeal to government and media junkies…The parallels to another high-achieving, mixed-race public figure are hard to ignore. Whitaker's retelling of his journalistic triumphs and missteps will remind readers that the face of America's elite is changing."